Like individual development, team development requires diagnosis before prescription. 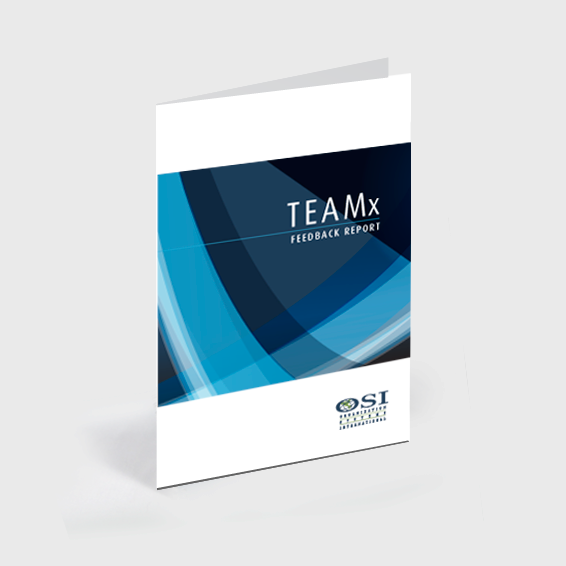 OSI’s TEAMx provides a multiple-perspective survey of the current state of an intact work team. TEAMx allows a team to measure itself against those elements found in high performing teams. The TEAMx Feedback Report presents a clear picture of team strengths and possible developmental needs. Team building becomes more efficient as team energy is focused on those areas needing the greatest improvement. **Qualification required. Please contact OSI for further information.